We have more than 45 years’ experience in ministry. We have served in ministry from the local church to the national level with Youth for Christ, and mission work in over a dozen countries. Danny is a contributor to the Life Application Bible, Parents and Teenagers, Parents and Children and numerous other publications. 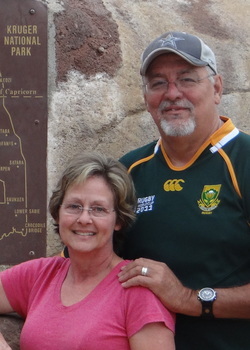 Cathy has used her gifts of mentor-ship and guidance as she has home schooled their two children and provided encouragement for numerous missionaries and their families. Danny and I have served the Lord together for four decades, but our ministry began separately, long before we met. Although we grew up around the block from each other we did not meet until 1975. We married six months later and what an amazing time we’ve had thus far. I had no idea that we would end up in seminary, in Dallas, nor on a church staff. God has been full of surprises. He has given us two wonderful children, Ashley and Matthew, along with their spouses Jack and Letitia and now a special gift of several grandsons, Jackson, Ben and Zach. God has grown Danny and me through many trials and triumphs. We have ministered to thousands of teenagers, missionaries and staff at schools, churches and on mission trips. We also taught our own children about Jesus while as we home schooled. We still hear from some young people from more than 35 years ago. What an encouragement! During all these years “we have struggled with some of life’s hardest blows and still proclaim God’s goodness,” as a missionary intern said to us. We have learned that testing of your faith produces endurance. (James 1:2-3) and that there is no other way to go deeper with God. We have served many Youth for Christ staff, traveled to their cities and trained, led and built relationships with them over a 20-year period. These were rich times of fellowship, prayer and learning about God’s servants and seeing Him meet many needs including our own. It’s been a joy to work and minister to so many staff of different backgrounds and denominations. It has been the same when we have ministered to missionaries in Honduras, Ukraine, Brazil and South Africa. God is so big and He’s got some dedicated followers the world over. We are learning to be still and know what He wants us to do and be. This is what He’s been teaching me this year. Danny and I want to look intently at Jesus, to be still and hear His voice, and to follow where He leads.